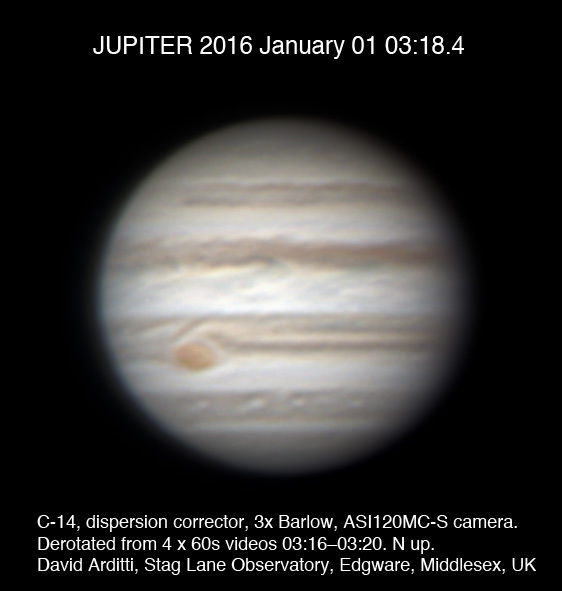 This was my first image of 2016 and first of Jupiter this apparition. I had good seeing on the morning of the 1st, but transparency was rapidly falling when I took this, and there was a halo around the Moon nearby, so exposures were long (>50ms) and the result is not too sharp. Still it was nice to see the GRS again and the STB white ovals.